Experience all of the excitement and action that soccer can offer, all in a compact, acrylic package with Super Kixx Pro by ICE! 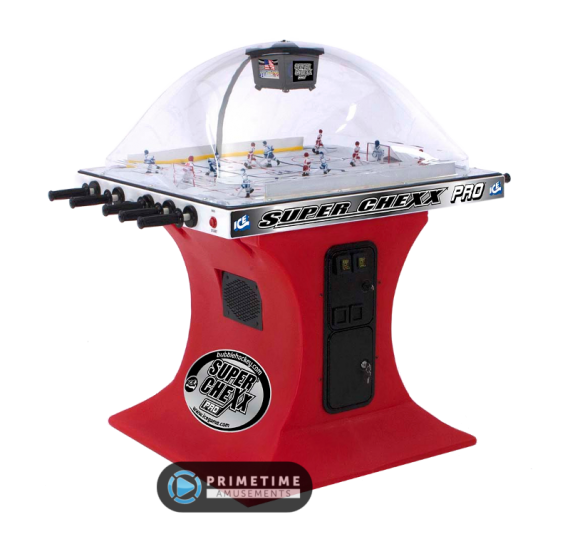 Super Kixx Pro is a part of ICE’s long line of “bubble sport” mechanical games. 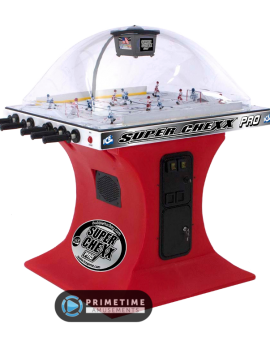 The most popular of these has been the Super Chexx dome hockey, but in 1990, the company brought soccer to the format with Kixx, and later Super Kixx. Now, following in the footsteps of Super Chexx Pro, Super Kixx Pro updates and modernizes the idea of bubble soccer for today’s audience. 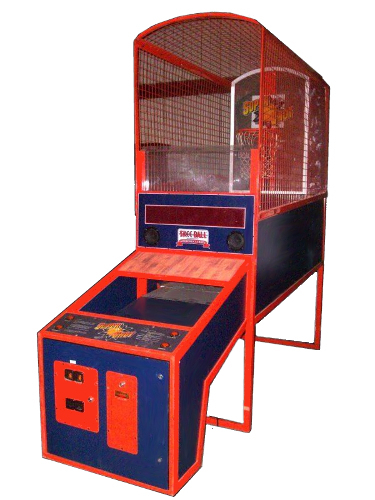 Underneath the acrylic dome sits two teams, with each player attached to a rollerbar controller on the side of the unit. These controls make it easy for each user to control their players, either in moving down the field, chipping, passing and striking. You also have control over your goalie to try and block the shots that are made. 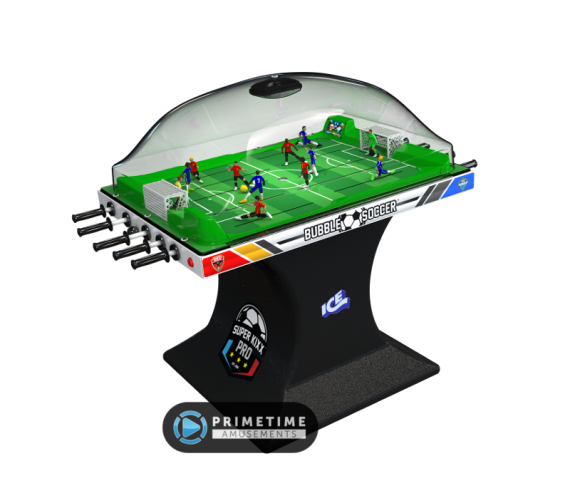 Since the unit is fully self-contained, a lightning fast ball elevator works to bring the ball into play at kickoff and after each goal score. 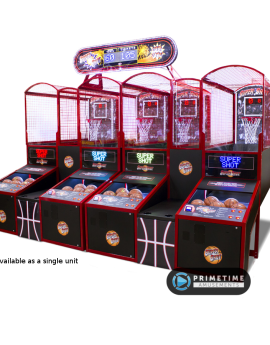 Witness Super Kixx Pro in action, as seen at IAAPA 2018. Video available in 4K UHD! Don’t forget to subscribe to us on YouTube. 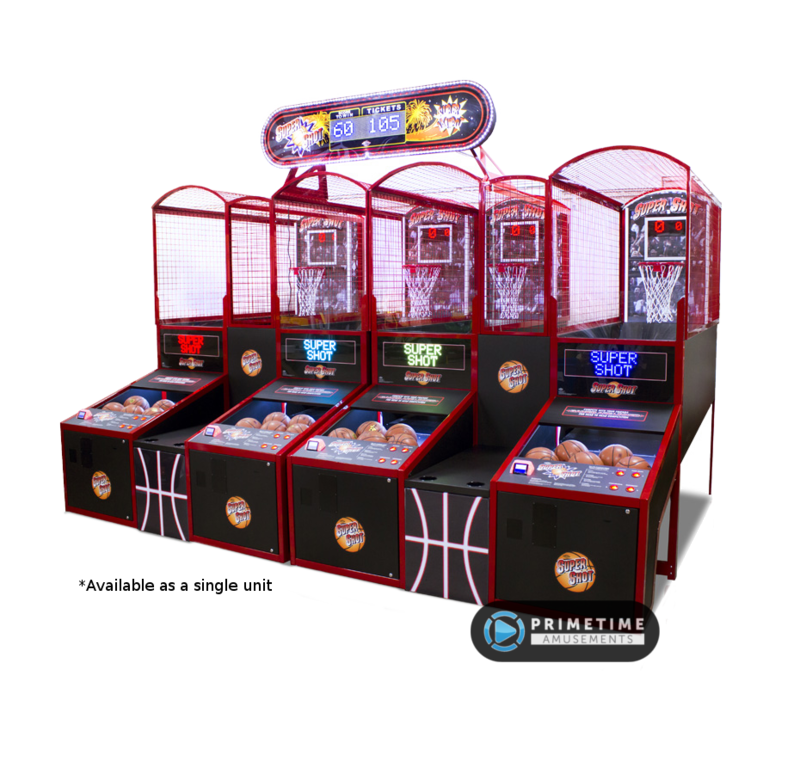 What makes this “Pro” is more than just being new – ICE has added HD screens in two corners of the machine, each showing fun animations and the current score. Updated voice overs, music and sounds are also a part of the package; with 10+ customizable national anthems to appeal to your audience! Field players can also be given a custom country jersey (extra cost) – pick from USA, England, France, Italy, Brazil, Argentina and many more! 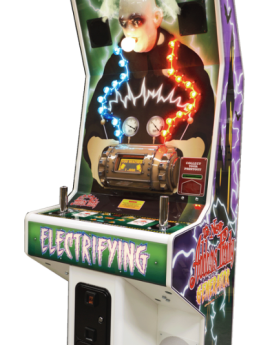 – Electromechanical amusement done in a way that only arcades can do! 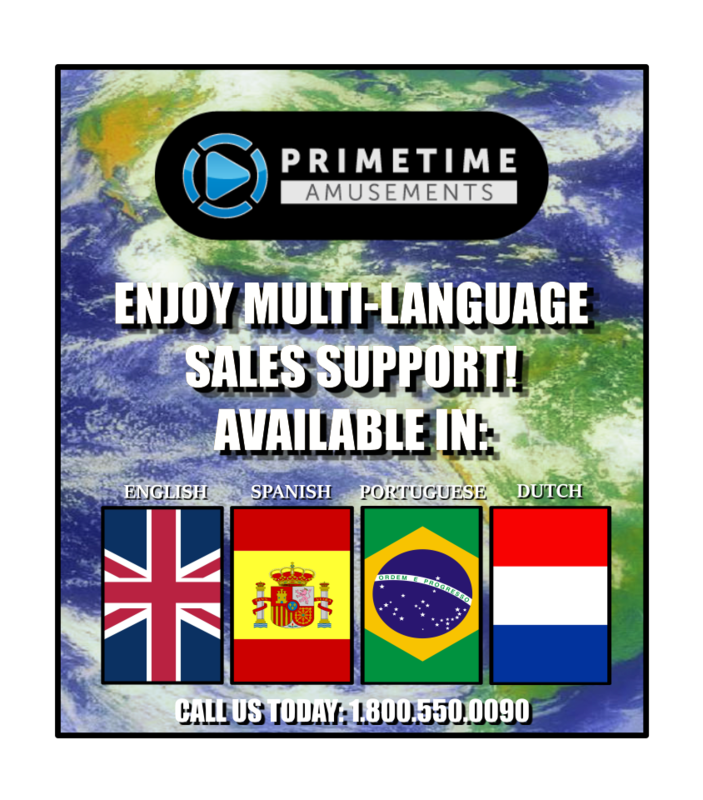 Call our friendly & knowledgable sales staff for more information or email us here! An “Electrifrying” Game Of Endurance! Moving Back Board Makes For A Unique Game Feature! 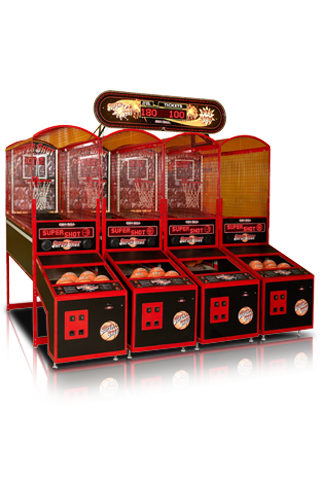 Shipping Dimensions: H: 78″ W: 38″ D: 90″ Weight: 960 lbs. Note: The brochure has a typo in swapping the Width and Depth dimensions. We have posted the correct dimensions above.